PKT every24 Logistics Sdn Bhd (“PKT”) today signed a service agreement with Daiso Industries Co., Ltd. (“Daiso”), on Friday, 1st February 2019 at The Lighthouse, One Logistics Hub, Shah Alam, Selangor. 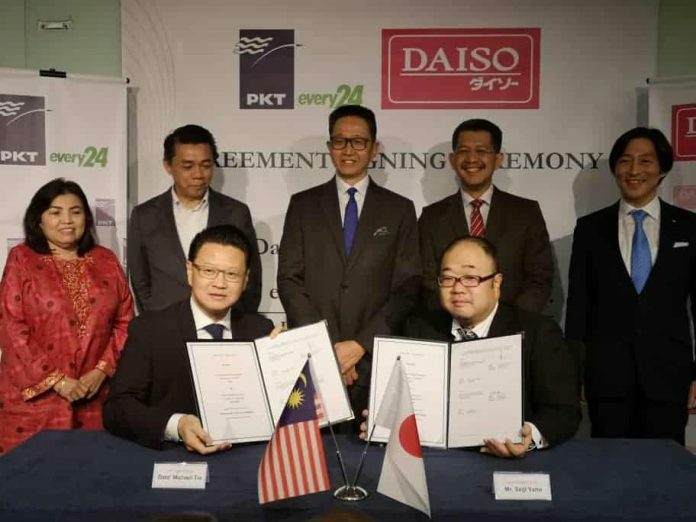 With the inking of this service agreement, PKT will operate Daiso’s Regional Distribution Centre located in Port Klang, commencing in the 2nd quarter of this year. The signing ceremony was witnessed by the Yang Berhormat Dato’ Teng Chang Khim, Selangor State Executive Councillor, Chairman of Standing Committees for Investment, Industry & Commerce and Small & Medium Enterprise (SME), YBrs. Tuan Mohd Khairul Adib Abdul Rahman, Deputy Secretary General (Policy) of the Ministry of Transport, Yang Berbahagia Dato’ Hasan Azhari, Chief Executive Officer of Invest Selangor. After a comprehensive search within the ASEAN region, Daiso decided to locate their Regional Distribution Center (RDC) for their popular household products in Malaysia, serving few countries initially in 2019 and increasing to more than 15 countries once the new warehouse is completed. 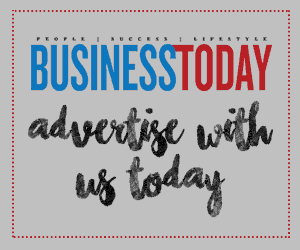 This RDC is the centerpiece in Daiso’s business expansion strategy to streamline their logistics operations for the Southeast Asia and Middle East regions, allowing them to better serve these two fast-growing markets. “We are confident PKT will be a valuable logistics partner for Daiso to better serve our outlets and customers across the Middle East and Southeast Asia” says Daiso Industries Co., Ltd. President, Mr Seiji Yano. In order to serve Daiso in this RDC, PKT will be constructing a purpose-built warehouse at an estimated investment cost of MYR250 million while creating 500 new jobs for the state of Selangor. PKT shall be providing Daiso haulage, freight forwarding and warehousing services for their transshipment and local cargo, reaching approximately several hundred containers per month. “We are truly honored by Daiso’s confidence in Malaysia’s logistics capability but most importantly Daiso’s confidence in PKT to deliver quality logistics service to their outlets” says PKT Logistics Group Chairman Datuk Wira Jalilah Baba.